Our research reports utilize cutting edge technology and proprietary databases. Each report looks for similar sounds, appearance, meaning and includes all possible phonetic variations including the foreign translations. Our comprehensive full availability search includes a search of U.S. Trademark Office records of all registered, pending, expired, canceled or abandoned trademarks and service marks, plus state trademarks, common law, and company names. News Search from thousands of news, business and trade publications. Our U.S. and Canada search combines our U.S. Extensive search with extensive Canadian sources, including the Canadian Trade-Marks database, and numerous Canadian common law sources. Our design search will compare your logo to existing logos filed with in the Federal Registry. The search is conducted by breaking your logo into design code classifications and comparing them to existing logos. Our federal search compares your mark with identical or similar marks in the Federal Trademark Register. This search is especially helpful when you have several choices for potential trademarks and you wish to narrow the field by eliminating obviously unavailable marks. Records of European Union country registrations as recorded with the OHIM (Office for Harmonization in Alicante, Spain which maintains over 70,000 trademark applications and registrations. WIPO (World Intellectual Property Organization) registrations of the more than 60 countries involved with the Madrid Agreement and Madrid Protocol countries. WIPO's date base has over 390,000 Madrid Agreement and Madrid Protocol trademarks registered. Individual Country Searches for (Austria, Belgium & Luxembourg (Benelux), Denmark, France Germany, Italy, Liechtenstein, Monaco, Spain, Switzerland, United Kingdom. Common Law Sources including European newspapers, magazines, trade journals, and company directories. Call us at 800-705-9600 for a free consultation from our knowledgeable staff. 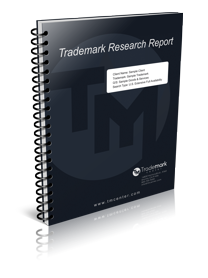 Since 1995, More than 20,000 searches performed and 6,000 trademark applications filed. Rated top U.S. attorney by Trademark Insider for number of applications.